Moonstone helps to increase fertility and align you with your own natural rhythm, to help you get pregnant. 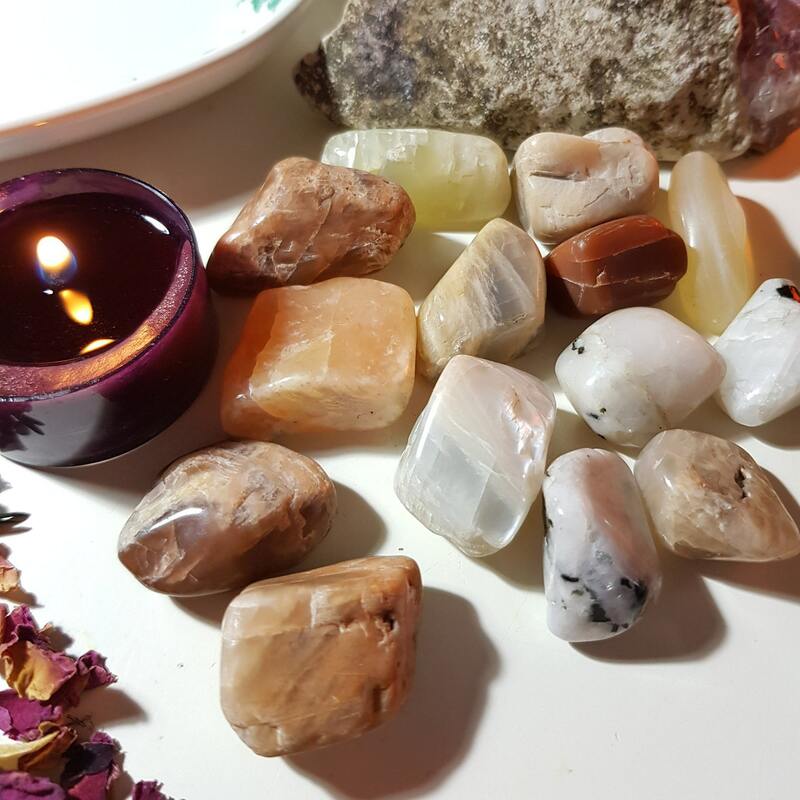 It is a stone of destiny, connecting you with the energy of the moon and the divine feminine. 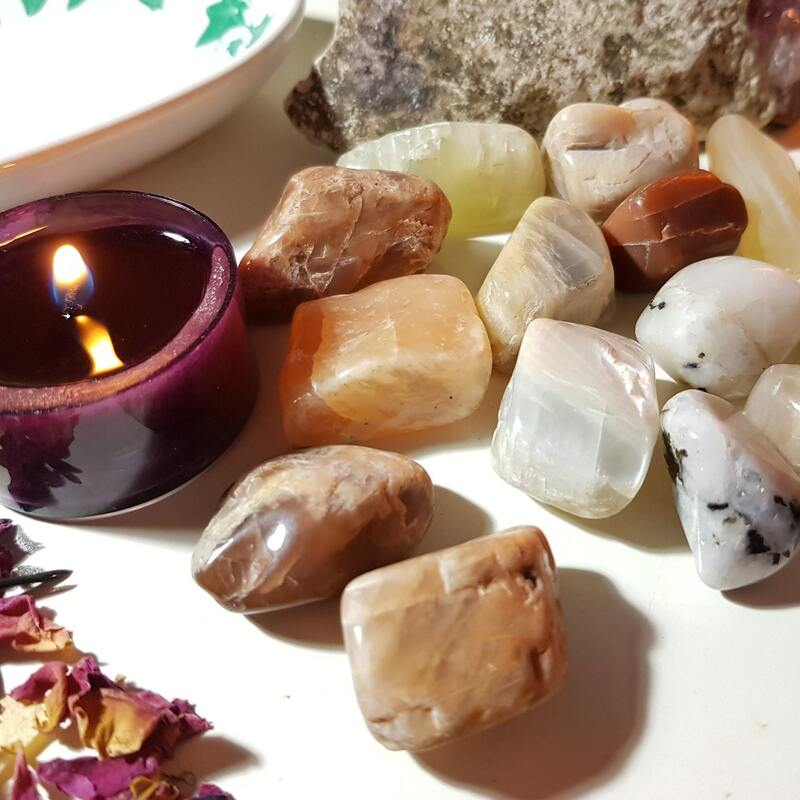 It is a stone for new beginnings and brings you a balance to your emotions. 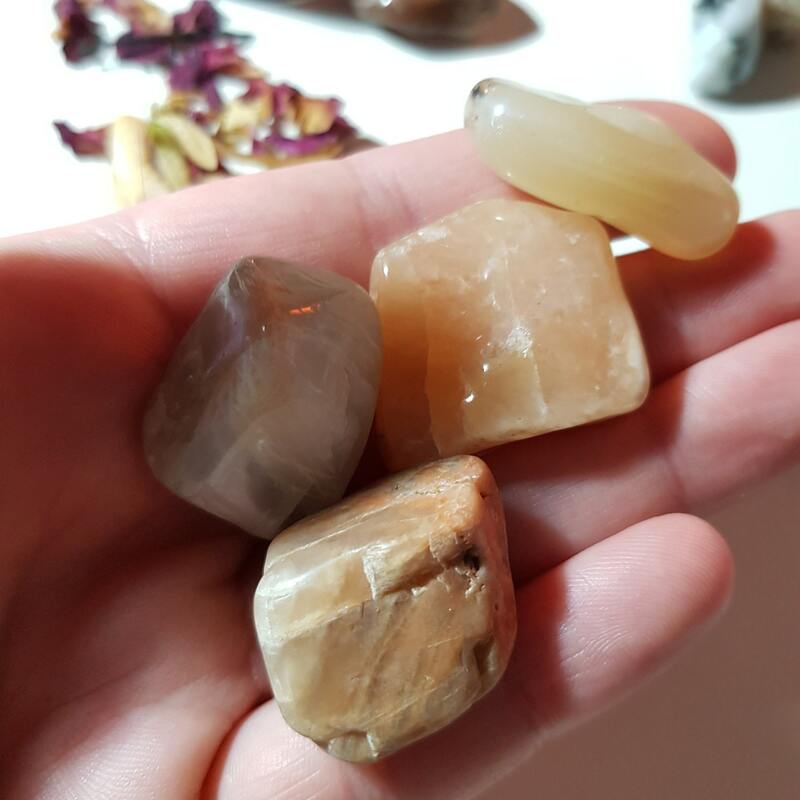 All crystals are obviously different shapes and sizes so measurements vary but these measure approx. 2.5-4cm.